It’s another joyful milestone on your journey to your wedding day and in terms of significance, it’s second to none except for that special day. Just like any other delightful occasion it does require its own share of careful planning, too. So if you’re sitting at your desk, planner, pens and tablet at the ready, wondering just how to get started, you’ll love this post. 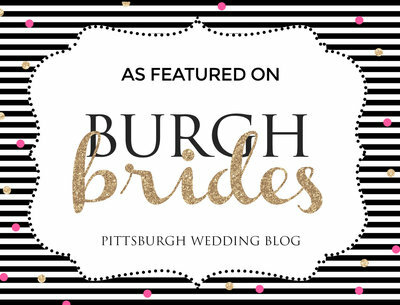 In it, I share handy tips I learned from my extensive experience on the Pittsburgh engagement and wedding photography scene on planning a wonderful engagement party. Select a date and venue: Where and when? Those are the two questions which you will need to cross off your list once you have set your heart on celebrating your commitment to each other with your loved ones. Will it be early in the year, in spring or later on, in the summer or fall or even winter? Will it be a cozy, intimate dinner at home or in your favorite restaurant? Or will it be a more formal affair in a ballroom or hotel? It’s all down to you and your fiance to decide on your favorite options which will ensure a perfectly memorable experience. Style and setting: The next question in line to be crossed off your list is ‘What’? What sort of decor, dress code and style themes do you have in mind? Will it be an indoor or outdoor celebration? Will it feature loads of floral decorations, soft, delicate candlelight or your cultural theme of choice? Will you prefer your guests to come casually attired or suited and booted? One of the very best things about being in charge means you can even get to decide on a fusion of styles and themes. Hosts and guests: What’s a party without guests? As you can attest, it’s a rather lonely affair. And that’s why the next question to be addressed will have to be ‘Who’. Who exactly will you be inviting to celebrate such an all important milestone? Again the choice between an intimate gathering or a more social celebration – think office colleagues added to the mix – will come into play here. There’s also the question of who will have the distinction of getting to host the event. You may decide to go the traditional route and have your parents and those of your fiance do the honors. Or you could simply select your very favorite sibling, cousin or closest friend to preside over affairs. Taking a close look at those three all important questions mentioned above is a great means of being able to put foolproof plans in motion for your engagement party. Especially since they also come with the opportunity to check what stones might have been left unturned. There’s no doubt that the icing on the cake will be those amazing photographs which will not only ensure you will be able to revisit those beautiful memories but will also prepare you for your wedding photography session!